The Internet has been awash with the talk of Antonio Conte quitting Chelsea at the end of the season. The names of a lot of managers have been mentioned as possible replacement for the Italian but two names out of those been suggested as a replacement for Conte are now possibly out of the running to become the new manager at Chelsea next season. After an excellent first season for Antonio Conte, this season has been a nightmarish one for the Italian manager as result on the pitch have not gone his way, although as the manager the buck stops at his table the fact is that a lot of players has let him down with their performance this season. 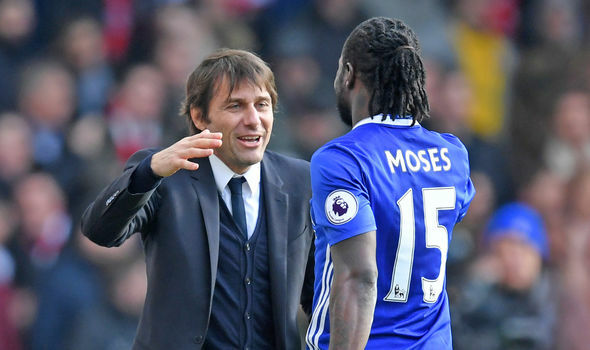 Top Players like Victor Moses, Thibaut Courtois, Cesc Fabregas and so many others who were excellent last season have suddenly become mediocre all season. The result has been woeful, Chelsea has won just 3 matches this year and has picked up a meagre 12 points from a possible 33. One of the favourite to replace Antonio Conte in the summer Thomas Tuchel has reportedly signed a two-year-deal at PSG. That clearly put the German out of the running for the Chelsea managerial job. Thomas Tuchel and Diego Simone, that`s two names off the list of a possible replacement for Antonio Conte at Chelsea next season. The favourite to replace Conte should now be Juventus`s Massimiliano Allegri and Monaco’s Leonardo Jardim. Massimiliano Allegri understandably doesn’t want to be distracted with Chelsea’s managerial talk as he has all his attention set on Juventus Champions League campaign for now.